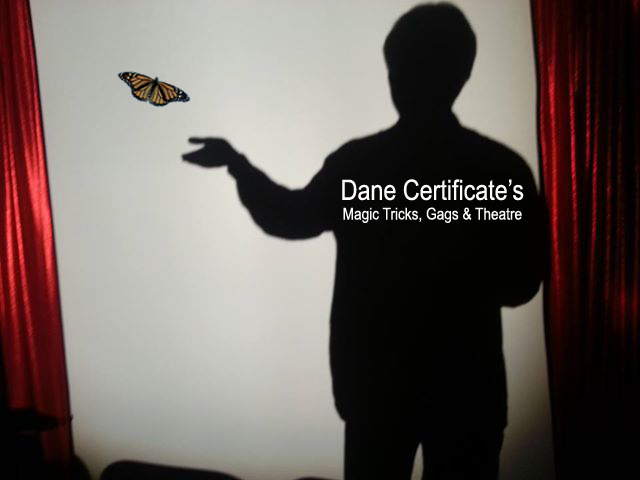 Dane Certificate’s magic tricks, gags & theatre was founded by Dane Certificate in January 2012 and became Australia’s only Magic Bar and Theatre-Located down Houdini Lane, Melbourne Australia. The theatre show-cased not only Dane’s original magic but regular guests including local and international magicians, musicians, comedians and artists inc. Lou Barlow & Neil Hamburger. The theatre disappeared from its location on the 14th December 2016 and has been reappearing across Australia in the form of a travelling magic show. Dane has just created “Magic Parlour Australia” where people can see magic up close and learn the art of magic themselves. “I want to see the art of magic flourish in Australia”- Dane Certificate.